Synopsis: Marilyn Monroe begins appearing on Amanda Grace's patio dancing, laughing at the moon and gazing at Amanda through the glass doors. Is it possible that Marilyn, against all reason, has somehow transported herself through time and space to contemporary Los Angeles? And why does she flaunt Amanda, but whose talent is questionable? The visitations begin when Amanda's mother, Edith, commits suicide, an event that shakes Amanda to her foundation. For, while she has been a successful model, she has always measured herself against her mother, a well-known artist who has overcome severe obstacles. But unlike Edith and her accomplished sister, Joanne, Amanda Grace has not distinguished herself intellectually or artistically, nor even managed to marry and have children. In her eyes, she has failed to live up to her mother's expectations. Now, with Edith's death, she has forever lost her chance to prove herself. In her grief, she forgets to eat, sleep, or carry on with life's simplest tasks. The final blow comes when Amanda accidentally learns she was adopted. With the loss of her family as a touchstone, her foundation crumbles, and her fragile sense of self dissolves completely. Catch the Sun is a story about how an obsession with a celebrity can impact the life of an ordinary woman. It explored our endless fascination with Marilyn Monroe's fragility, beauty and dazzling rise and fall. Lee Zmaloch lives on the Central Coast of California where she writes fiction. Her work has appeared in a number of literary journals and she has won several honors for her writing including the Booklegger Award for best submission of the year from Toyon and honorable mentions from the Nelson Algren Award, and Raymond Carver Short Story Contest. She has published two novels which are available from Amazon.com in both print and kindle editions. She is currently at work on her next novel. Lee has been a teacher, a consultant, a college professor and a program designer. She enjoys hiking, reading, traveling and romping with her two Siberian huskies, Sunny and Storm. 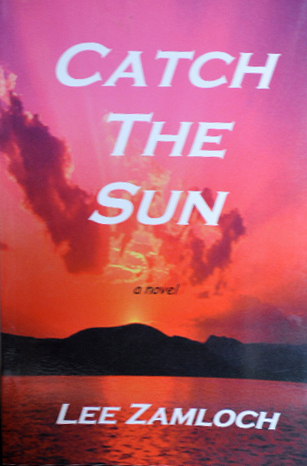 Ms. Zamloch is giving away an e-book copy of her novel, Catch the Sun. All you have to is enter the giveaway down below.